Aquatica brings a complementary solution to the question, ‘how do I fill my freestanding bathtub?’. 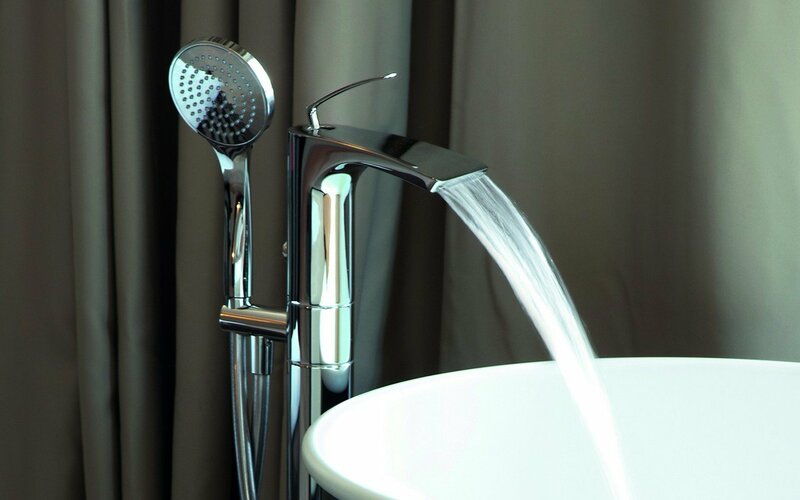 This modern freestanding faucet can be positioned exactly where you want beside your bathtub. The outward simplicity of the Italian design is displayed in the streamlined column and gently curved wide mouthed faucet, all of this in polished chrome. A single lever lets loose a waterfall inspired flow easily controlled by a single lever. The stylish round hand shower with a flexible hose and anti lime feature ensures top notch performance every time it is used. 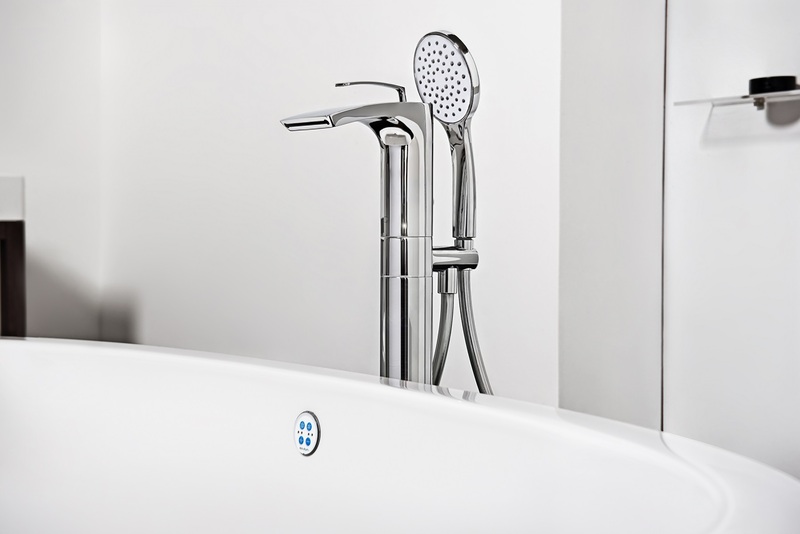 Aquatica's Bollicine Floor Mounted Bath Filler offers first class comfort for all your bathing needs.